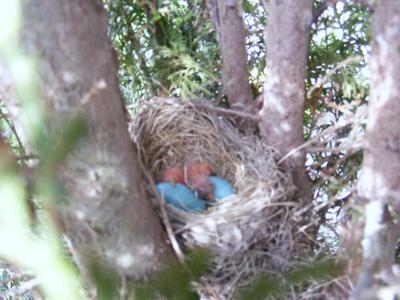 Dianne, one of our readers from Russell, Ontario, sent us these pictures of the Robins in her yard, she says - This Robin's nest is right beside our garage - they are so amazing to watch. 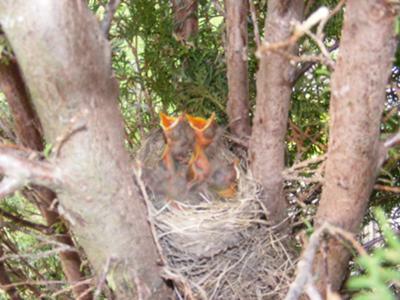 Here is a picture of the Robin's nest one week later. Thanks for the pictures, Diane!